AΦE is a touring company that creates performances not bound by the stage. Based in Ashford, Kent, we started collaborating in 2013, and formally incorporated the company in 2016. Inspired by a world transformed by new technologies, artistic directors Aoi Nakamura and Esteban Fourmi choreograph bold and unusual audience journeys. Our audiences are active participants within visually captivating environments. Our work and interests are along the lines of immersive experiences where the choreography lies in audiences journeys', and we explore extensively with new technologies as tools for these experiences. Our fascination is body in the space and possibility that technology offer for us to extend our imagination and communication with the audience. We create work that harness different art forms and technology not bound by presentation format. 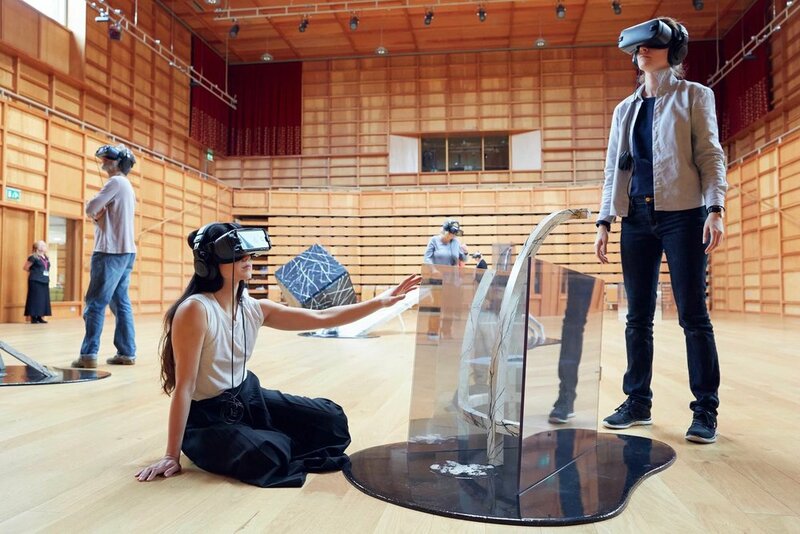 AΦE was recently commissioned to create an Augmented Reality version of ZeroDegrees (Choreographers/performers: Akram Khan and Sidi Larbi Cherkaoui). AΦE’s work has been seen prestigious venues and festivals such as Sadler’s Wells, Sydney Festival, Capital Theatres Edinburgh, V&A Museum, Territory Festival, Biennale de la Danse de Lyon. Individually, Aoi and Esteban has been performing since 2006 at major companies in Europe such as Jasmin Vardimon Company, Punchdrunk, Saarländisches Staatstheatre, Hessishes Staatstheatre Wiesbaden and Staatstheater Kassel. They have also choreographed, directed and performed for works by other prestigious producers, including Sean Roggs’ immersive experience The Waldorf Project, a 360° film for Elbphilharmonie Hamburg (Google Arts & Culture) (240k YouTube views) and short film “Kai”. They were also guest curators for an art exhibition and a Digital Performance Weekender for Devonshire Collective in Eastbourne in November 2017.